Pay No Attorneys' Fees Unless We Win Your Case! Hire a Semi-Truck Accident Attorney / 18 Wheeler Lawyer If you have been injured in a Truck Accident! If you have been involved in a semi-truck accident you need a dedicated law firm that will assist you in every step of the matter. You need to focus on regaining your health and allow our office to negotiate with the insurance company. It is important to know that you have counsel that will take the insurance company to court if they refuse to do their duty. If you have been injured or lost a loved one due to an 18 wheeler accident give our firm a call today, we are here to assist you. When one of these trucks has an accident, their sheer size and weight create a great catastrophe. These large transport trucks injure citizens every year and Tillmann Law is here to protect you and your loved ones due to their negligence. You will not pay any attorney fees until we win your case. We work on a contingency fee basis which means there are no upfront lawyer fees. It is important to contact us immediately after your accident prior to speaking with anyone. We are here to represent you and deal with the insurance company, police, or whoever may be a part of your case in order to protect you and what you may be owed. Personal Injury Attorney Aaron Tillman, Esq. Aaron Tillmann is the founder and Managing Attorney of Tillmann Law, P.L.L.C. 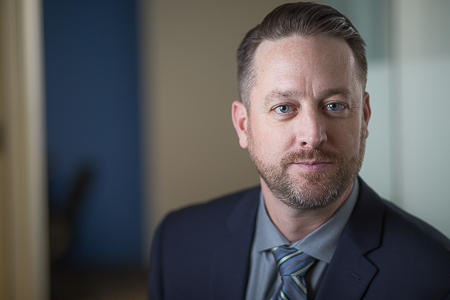 His practice focuses on the areas of personal injury, specifically motor vehicle collisions, pedestrians hit by vehicles, bicyclists struck by vehicles, premises liability (aka slip and fall), dog bites, Trucking or Tractor Trailer insurance denials and more. He is admitted to practice in the states of Oregon and Utah and all their respective courts, and the Federal Courts of Oregon and Utah, along with the Bankruptcy Court, and also the United States Tax Court. Mr. Tillmann focuses his practice on the client and their satisfaction. Many times the individual when taking on the insurance company can feel overwhelmed. Mr. Tillmann assists the client is navigating that process and fighting to ensure that every right of the client is protected to the fullest extent. I wasn’t sure about getting legal help with my collision claim, but when I went to Aaron, he made me feel comfortable with the process. I definitely got more than expected. I’m very happy with the outcome. Now things should be a little easier. I was injured in a motor vehicle accident and didn’t hear from the insurance company of the person that caused the accident. I hired Mr. Tillman and his firm to act as my advocate. Mr. Tillman was caring, professional, and very successful in advocating for me in a case that was difficult in that the other side was difficult to deal with and played “hardball” in all matters. I highly recommend Mr. Tillman and his firm. From day one Aaron was very communicative and explained everything very well. Reasonable fees and made my case seem very smooth. I came to Aaron 2 years ago frustrated, in pain and really confused. All I knew is I was hurt, nobody was listening and I didn’t know what was gonna happen. It’s a scary space when your in that position. The being in pain and having no idea what the future holds. I feel like the moment I met with him I was being heard and felt like what happened to me mattered. He was very honest with me from the beginning about the process, what we had to work with and even the risks. I felt informed and communicated with. And we just won a huge victory. For me that means options are open, my family has security. I honestly don’t know what would have happened without Aaron and his team. I’m just grateful for them standing up and helping me be heard. Thank You for your work and dedication. I highly recommend Tillman Law. I consulted with Aaron about a financial situation. He was knowledgable and extremely helpful, he offered advice that helped me make a decision about what to do. I appreciated his compassion and understanding and will definitely call him again if I need to! Have You Been Injured In An Semi-Truck Accident? First, seek medical treatment for any injuries you received from the semi-truck accident. Even if you feel that you did not suffer from any injuries it is a good idea to get checked out. Some injuries can take hours or days before they become apparent. Then immediately contact a personal injury attorney who has experience in handling semi-truck accidents. You want to do this prior to contacting the insurance company or even speaking with the police. Our job is to protect you and help you get the best results for your case. If you have been injured in an semi-truck accident we can help you. We will aggressively fight for you and aim to get you the maximum amount of compensation possible for your claim. How Much Does It Cost To Hire A Semi-Truck Accident Lawyer Near Me? Our semi-truck accident personal injury attorney’s only get paid if we win the case for you. There are no upfront or hidden fees. Our retainer agreement is based on a contingency fee basis and means we only get paid if we are successful at getting a recovering and winning you compensation.